The Georgia National Fair will be here before we know it! 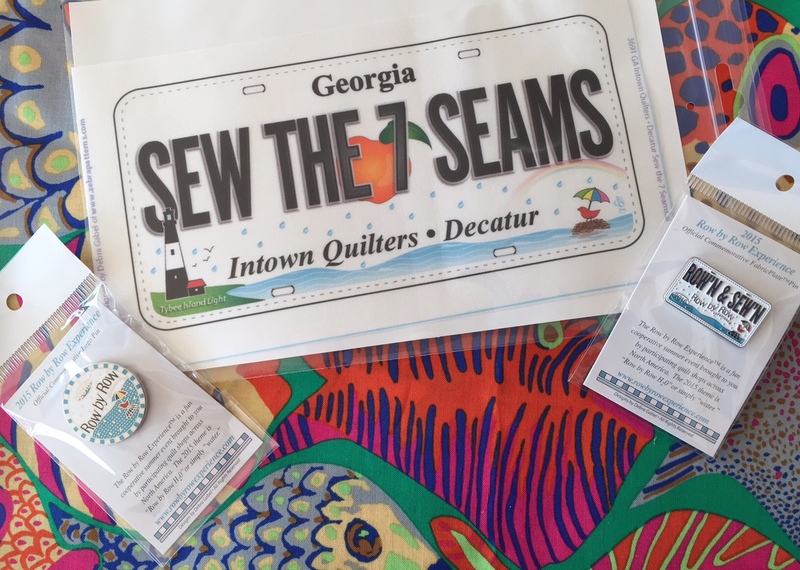 Now’s the time to get those quilts ready to enter in the annual competition.We are happy to again be a drop-off/pick-up location for the Georgia National Fair. It’s one of our favorite annual events to attend and we love seeing all the quilts and other exhibits on display. Several of our employees and customers have won prizes and ribbons through the years — will you be next? Quilts can be entered in several categories: Small Quilts, Medium Quilts and Large Quilts. Within each category are nine divisions: 100% cotton quilts; appliqued; embellished; embroidered; first-time quilt; hand quilted; mixed techniques; pieced; and whole cloth. Entries are grouped by experience level — novice, intermediate, open and youth — and there are even options for groups who’ve collaboratively made quilts. Ribbons, prize money and bragging rights are on the line! Head to the Georgia National Fair Home Arts & Fine Arts page for the link to the entry form and category details. Quilt entries need to be dropped off at Intown Quilters by the end of the day on Sunday, Aug. 30th (we close at 6 p.m. that day). We’re “sew” excited to be heading under the sea for this year’s Row by Row Experience™! The annual shop hop starts this Sunday, 6/21, and this year’s participants will be able to stop at participating shops in all 50 states. Row by Row is a fun shop hop like no other: No fees, no cards to stamp, and you’ve got all summer to play! Simply visit any of the participating shops and receive a free pattern for a 9-1/2″x36-1/2″ quilt row. Combine your rows however you’d like to create a unique quilt that represents the fun you had traveling throughout the summer. Best of all, you can take your finished quilt to any participating Row by Row shop to win a fabulous prize! Check out the map of all the participating shops here and our shop details here. We’ve had so much fun planning our row for this year’s event. Our new favorite fabric — Shoal — from Brandon Mably (Kaffe Fassett Collective designer) is the background for our whimsical, nautical appliqués: an octopus tangled up with a spool of thread and anchor. Row by Row customers can pick up their free pattern (limit one per person; available only in store) starting Sunday (we open at 1 p.m.). We’ll also have kits on hand for making our row. And we’ve stocked up on all the colorways of Shoal (there are four) because we think you’re going to love them just as much as we do! You’ll also be able to pick up this year’s fabric license plates, plus some great Row by Row pins to add to your collections. We’ve also stocked up on some great water-themed fabrics to go along with this year’s H2O event theme, as well as some awesome travel-related fabrics.